Pearl Chandelier Earrings. 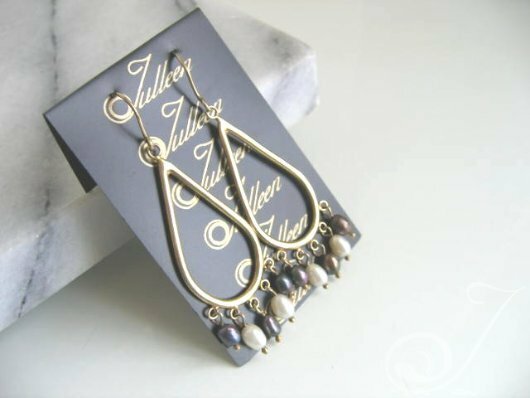 Gold Dangling Black and White 7mm Pearl Earring in 24K Vermeil . Simply gorgeous – 60 mm.